Can you name all 25 of the languages? The Fully (sic) team have worked it out but now it’s your turn! The first person in the comments section below to name all 25, in order, wins linguistic acclaim. If no one names all 25 by Monday 9am we’ll announce the person with the most correct answers as our winner. If the image above is too small to read check out this downloadable version here. As far as we can tell, these words are all variations on “caution” or “pay attention” (“beware is a delightfully archaic little English word that probably deserves a post of its own). If you speak one of these languages is there anything unusual about the choice of word? Spelling mistakes? 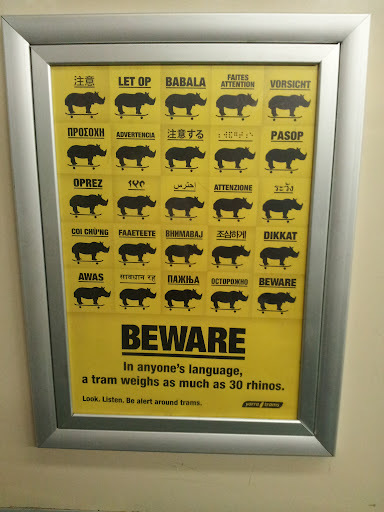 How would you say “beware” in your own language if it’s not on the list? Do share!